Think of this as a Manta station wagon. That's really what this is. In the rest of the world this car was sold as the Opel Ascona. 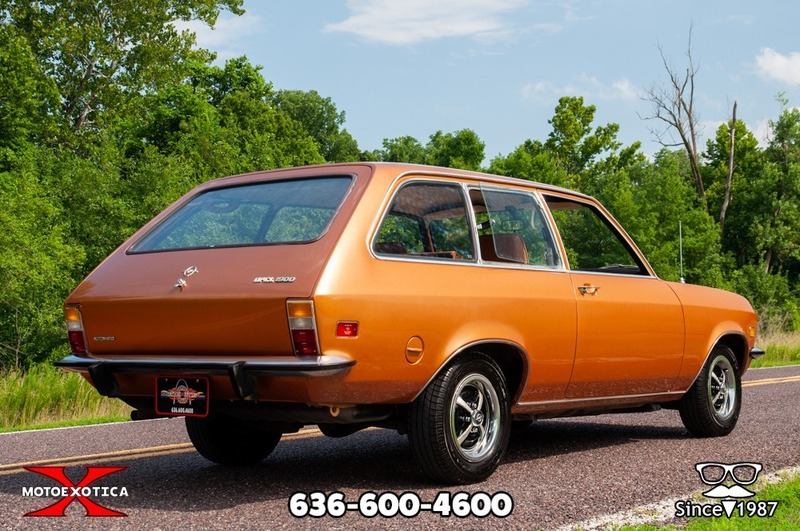 In the US it was sold as the 1900 at Buick dealerships from 1971 through 1975. I have a soft spot for Opels. My dad had several of them. I learned how to drive in one of them. 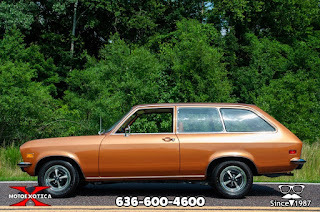 My first car was a 1970 Opel Kadett station wagon. 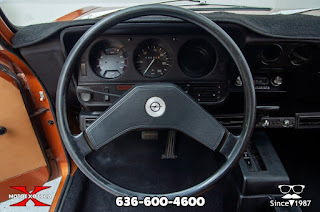 My first "sports car" was an Opel GT. My dad, who was no fan of the Long Island Railroad, used his to commute everyday from Long Island to Manhattan. He put a ton of miles on them and they never once let him down. 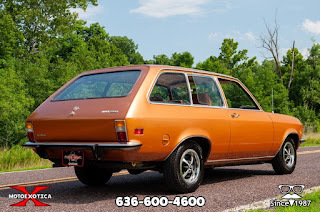 My Kadett was t-boned in the parking lot of a Chinese restaurant by a woman who had one too many Scorpion Bowls, but the GT had over 100K miles on it when I sold it in 1983 to raise some of the money I needed to start my business. 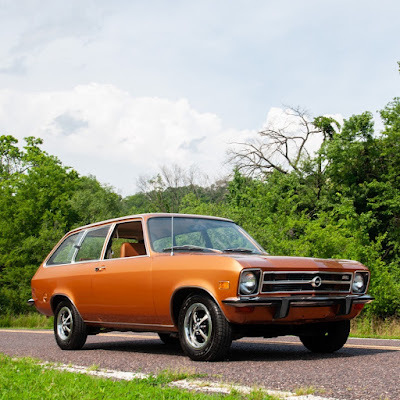 GM stopped importing Opels in 1975. The German Deutsche mark was becoming stronger, raising the cost of the car. GM was still under the impression that the US only bought imports if they were cheap. (Or very expensive, in the case of Jaguar, Mercedes, etc.) They apparently weren't noticing the steadily rising sales of the BMW 2002. 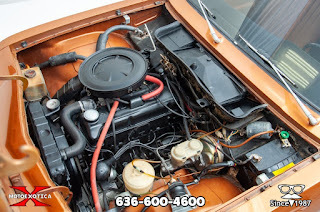 Ironically, by the time GM stopped importing the Opel 1900 it had lost its carburetor and gained fuel injection. Its performance numbers were very close to the 2002. With a few tweaks, they might have had the BMW fighter they so desperately wanted later. Instead, they replaced the real Opel with the cheap "Buick Opel by Isuzu" (an Isuzu Gemini and one of the worlds dumbest car names) and built the Cadillac Cimarron to fight the European imports. Brilliant. This 1900 Sport Wagon has the small bumpers. They look incredible when compared to the later, larger, federally mandated bumpers. Unfortunately, it looks as if it might still have its original carburetor. They are trouble prone. Fortunately, you can easily replace it with a Weber carb that is much more reliable. 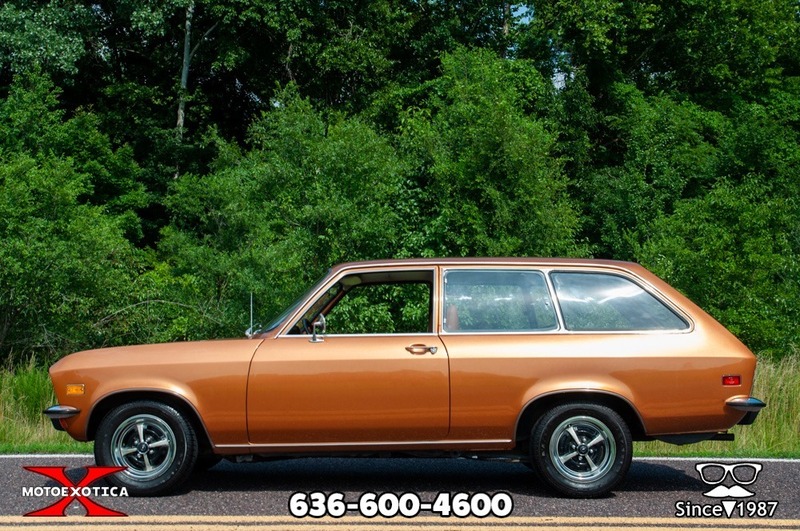 The seller describes this car as an "unrestored, two-owner car." It looks to be in very nice condition. The seller says the "paint and trim are in overall great condition, with a few minor blemishes visible upon close inspection." The wheels - which if I'm remembering correctly, are stock - give the car a great period correct look. 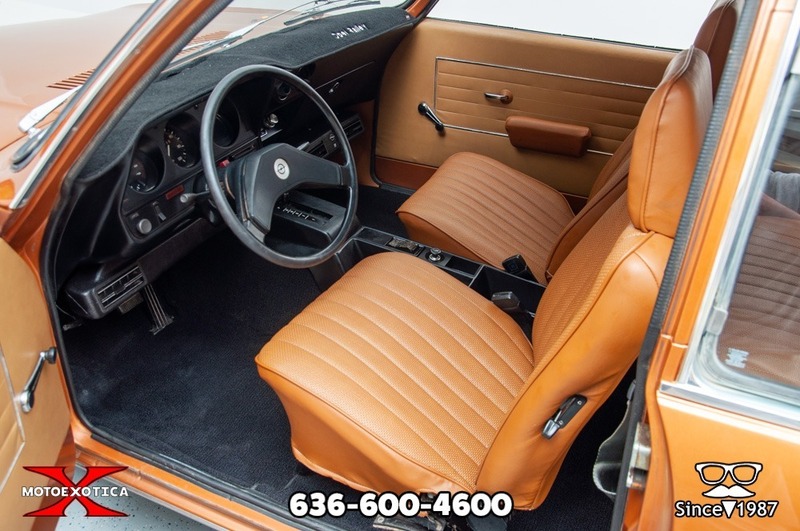 The interior is also in nice condition. The instrument cluster is amusing. On the right you see a blank space. You might think that is was for a tach on manual transmission models. You would be wrong. It was for the optional clock. Yes, GM was so cheap that they made the clock an option. This car is an automatic. I know that will turn off many potential buyers. My Opels were manual shift cars as were my dad's. I have no idea how the automatic drives, I'm sure it cuts performance, but I don't know by how much. But really, this is not a car you would buy for its performance. It's a car you would buy to drive on the weekends and take to car shows. It's also a great reminder of how GM had / has a nasty habit of snatching defeat from the jaws of victory. Located in Saint Louis, MO, click here to see the eBay ad.